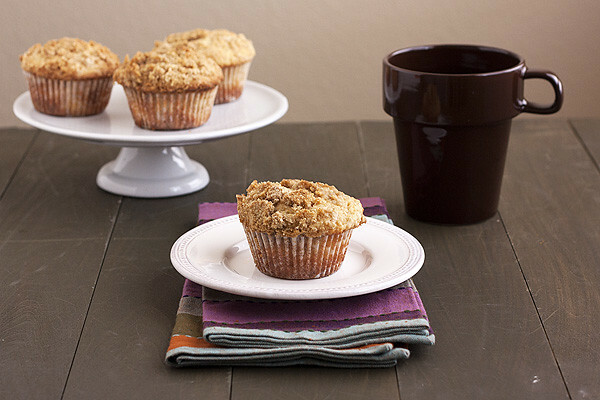 Allspice Streusel Muffins are a deliciously buttery, crumbly, heart-warming, and sweet treat! I remember making streusel muffins for the first time at a friend’s house as a kid. Although it was from a box mix I fell in love instantly with that sweet, buttery, crumbly topping. Is there anything better? 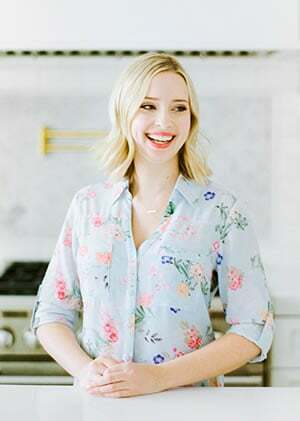 When I saw this recipe for allspice muffins in Baking with Dorie, I was intrigued. Allspice is rarely the shining spice in the spotlight. It’s usually cinnamon. I don’t know why allspice is always ignored but this recipe proves it shouldn’t be. In fact, this recipe makes me thankful for spices in general. Can you imagine how boring the world of cooking would be if no one had discovered all these plants can be used to flavor what we eat? Taste:The scent of these muffins is spectacular. Giving allspice the attention is something not a lot of recipes do so it’s a nice change of pace. Allspice is still warm and pairs with sugar just like cinnamon and nutmeg. These muffins are only slightly sweet. 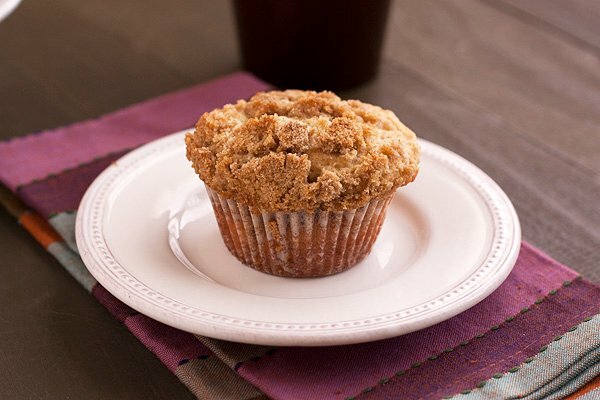 Texture: The muffin is soft but the streusel is definitely the best part! Crumbly and buttery. Appearance: How could you resist one? Pros: Easy and heart-warming. Perfect for breakfast, a brunch, a snack, or a dessert. Cons: Well, there’s the fact that these muffins have lots of butter, sugar, and white flour. Would I make this again? Yes, next time I might add some sour cream to the muffin batter. Preheat oven to 375°F. Spray a standard muffin pan with nonstick cooking spray or line with paper liners. Using your hands, blend together the flour, brown sugar, and allspice in a small bowl. Add butter, a few pieces at a time, mixing with your hands to coat the butter in the dry ingredients. Once all the butter is added the mixture should be lumpy. Place in the refrigerator while preparing the muffins (can be covered and refrigerated for up to 3 days). Whisk together the flour, granulated sugar, brown sugar, baking powder, allspice, and salt in a large bowl, making sure there are no clumps. In a large glass measuring cup or small bowl whisk the butter, eggs, milk, and vanilla. Add mixture into dry ingredients and gently stir with a rubber spatula until mixture is combined but still lumpy. Divide batter evenly among cups in prepared muffin pan. Sprinkle streusel over each muffin, gently pressing into the batter. Bake for about 20 minutes, or until the muffins are golden and a toothpick inserted into the center comes out clean. Allow muffins to cool in pan on a wire rack for 5 minutes before removing muffins to rack to cool completely. Definitely a 1/4 teaspoon! Thanks for pointing that out. There are actually some weird format issues with this post I'm trying to figure out. Hope to get it solved asap! Looks like a great recipe trying this on the weekend. Do you think I could add small piece of apple or will it change the texture.